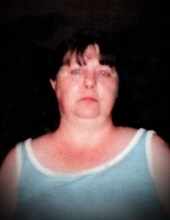 Wilma Jane Johnson age 60 of Melvin wife of Carlos Johnson passed away from this life Saturday March 30th, 2019 at her home. Wilma was born on October 23rd , 1958 in Pike County, Kentucky one of seven children born to Melvin Adkins and Maggie Newsome Adkins. Wilma spent her life being a loving wife and mother to her two sons she was also a member of Ligon Community Freewill Baptist Church. Along with her husband Wilma is survived by her son:Johnny Johnson of Melvin; one brother: Earshel Adkins of Paoli, Indiana; four sisters: Kenitha Hutchinson of Grethel, Rita Hall and Marlene Jones both of Melvin and Shelia Adkins of Grethel. As well as her parents Wilma is preceded in death by one son: Steven Johnson; and two brothers: Ralph Adkins and Tracy Adkins. "Email Address" would like to share the life celebration of Wilma Jane Johnson. Click on the "link" to go to share a favorite memory or leave a condolence message for the family.